'Stay Tuned!' 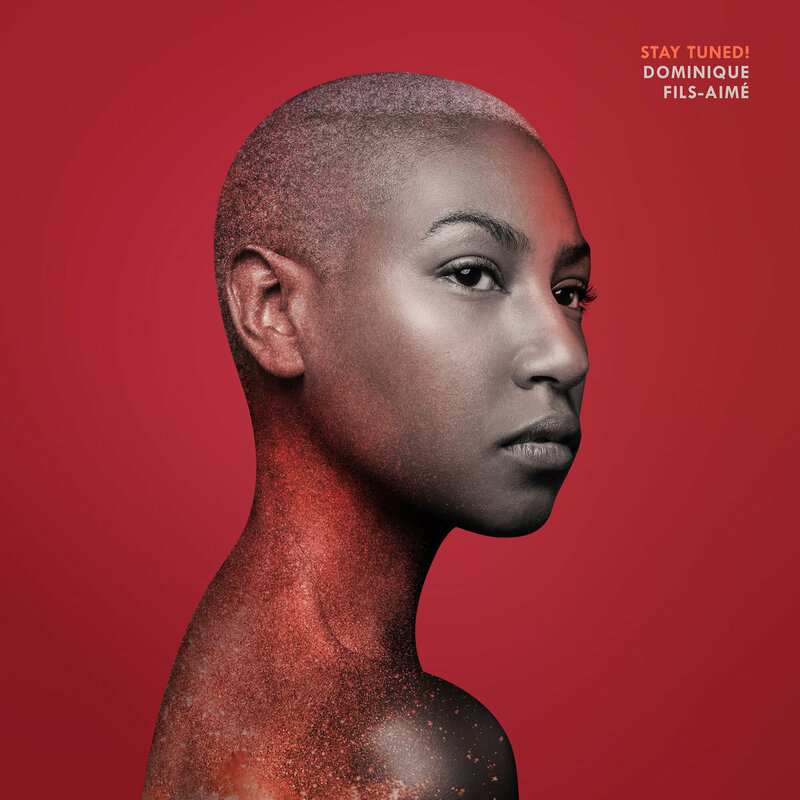 is Dominique Fils-Aimé’s sophomore album, the follow-up to her debut full length 'Nameless', part of her trilogy that brings to center stage the resiliency of mankind in the face of adversity and oppression and pays homage to Afro-American history and culture. In this second recording, containing 14 original songs, Dominique delves into the civil rights movement of the 60s and explores several significant socio-political events which deeply affected the course of black history (Lincoln Hills Country Club, Little Nine Rock, Emmett Till). She honours unsung heroes of the civil liberties movement as well as historical figures of the time such as Rosa Parks, Joséphine Baker, Lena Horne, Malcolm X and Martin Luther King. The album combines elements of soul, jazz, gospel and blends vocal harmonies, double bass, piano and trumpet over stirring and permuting grooves. Stay Tuned!’s lush vocal arrangements bring out Dominique’s voice as a stand-alone instrument, giving prominence to the words and the message she carries. Part rebellious and fiery, part sentimental and intimate, Dominique embodies afro-american music from then and now, all the while highlighting its defying power in a violent and divisive society. Breaking away from the standards of traditional compositions, the singer and songwriter presents a body of work focused on liberated musical forms hinting at the spirit of jazz. Moving on from the blues-tinged 'Nameless'—which boldly confronted historical silences and sorrows—'Stay Tuned!' is both a call for and reminder of revolution expressed with the fury of red-hot jazz.